The 13th Asian Community Games will be held in coming June. 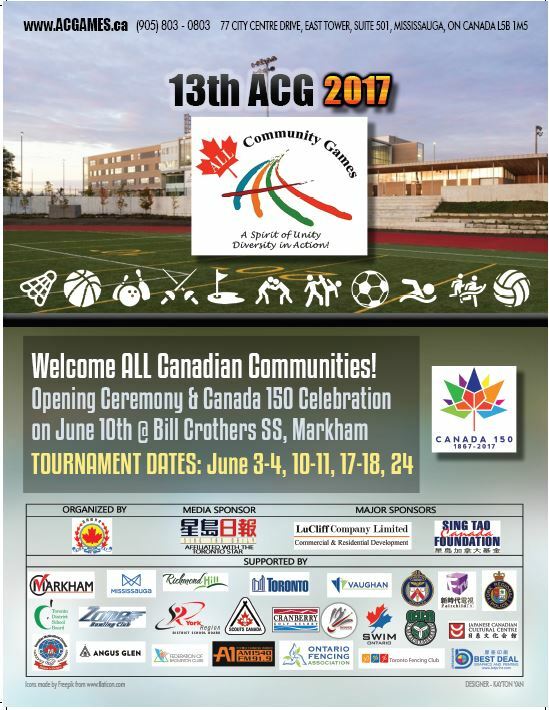 The opening ceremony will be on June 10 2017 at the Bill Crothers SS Markham. 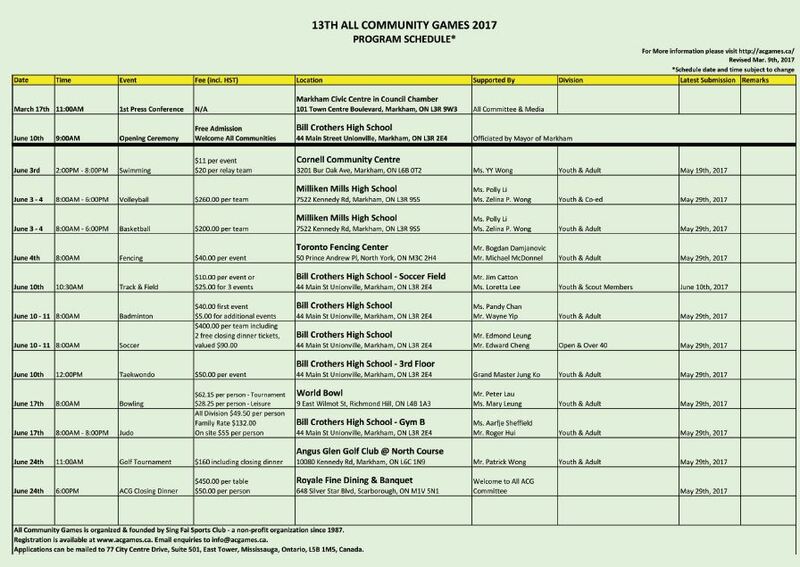 All Canadians are welcome to participate in any of the sports events as well as the opening ceremony.